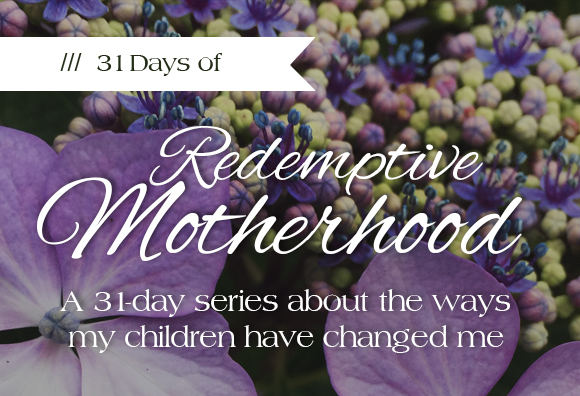 Welcome, sweet friends, and thank you for spending a few minutes to check out my 2017 Write 31 Days series: Redemptive Motherhood. I hope this glimpse into my motherhood journey makes you laugh and cry (the good kind of tears). I hope to surprise and delight you with the stories of these tender years, and I hope that if something you find here sparks a question or makes you curious about some part of my journey, that you will send me a personal note to connect. Thanks for reading. Outside, sheets of rain pelt the ground, the extra runoff from the roof transforming our eaves into urban waterfalls. Inside, we are at an impasse. It is me: worn down mama, my husband: still in damp clothes from his wet journey home after work, and my son: lionhearted boy that he is—screaming at the top of his four year old lungs. All day, we have been locked in conflict. I give directions, he immediately contests my authority or attempts to negotiate the situation to his advantage, every time. There is no easygoing compliance like I’m accustomed to from his older sister. In fact, there is no easy-anything if I have “poked the bear” as they say. The more I discipline, the more he resists. So here we are, me in tears, my four year old screaming at me with fire in his eyes, and my husband trying to sort out what to do next since he just walked in on this mess. I am exhausted, frustrated, and tears are spilling out of me because I am convinced I am a total boy-mom failure, and I imagine my child one day being in prison, or standing at a podium giving impassioned speeches as the tyrant dictator of a small country. You know; all the worst-case scenarios a worried mom constructs in her mind when things aren’t going well. He is a brazen, demanding child who seems to be against me at every turn, stirring up my anger in a serious way. When this behavior started to escalate at age 3 (upon the discovery of a small measure of personal independence), our power struggles began. In his eyes, everything in our home should be done his way. Unfortunately for him, that is not how I see it. I have tried everything under the sun to change his behavior, but it hasn’t turned out as I hoped. 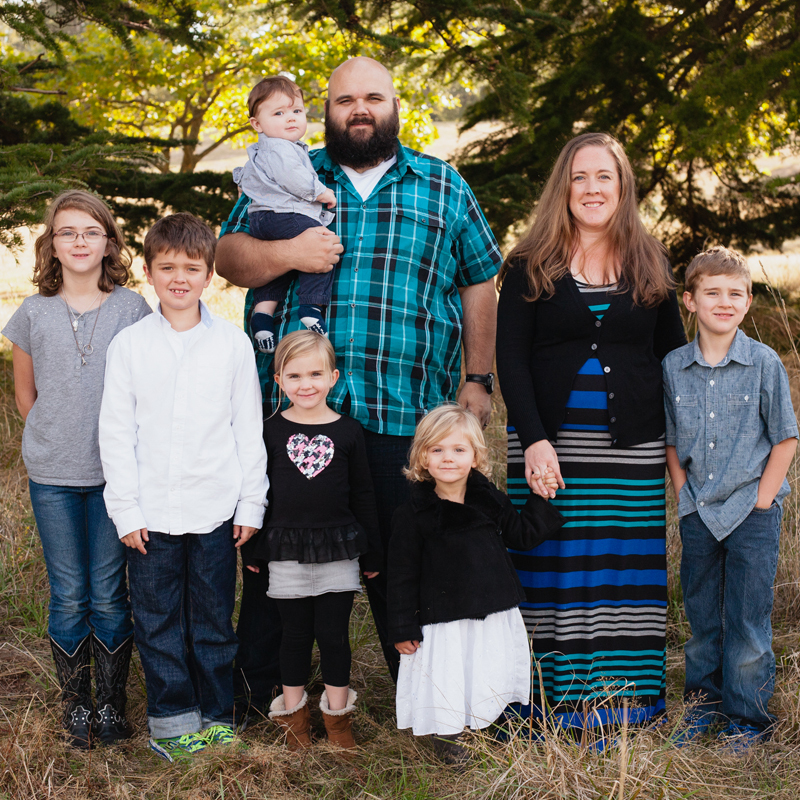 Many of our days are strong-willed-child-meets-authoritatively-frustrated-mama. It’s a power grab, but a hurtful one, and he finds the button that puts me over the edge. I lose track of my brave face and cave on the inside. The rain is still sheeting down along with my own tears, and the boy’s face has fallen in disbelief that his dad is now (seemingly) taking his threat seriously. This scene is on the extreme side of what I experienced on a semi-regular basis with my first son through his preschool years. From the beginning, he has been a leader, and his presence is probably the most influential in the family, as much as I would wish differently sometimes. If he is having a great day, we’re all having a great day. If he’s on a power trip, we’re all on the miserable ride. It is such an interesting phenomenon to me, because as far as I can tell—from years of observation and experimentation—there is no way to change this dynamic. I have tried and tried to discipline him into compliance, and I will say, the vast majority of disciplinary techniques have not achieved the desired or intended result. If I discipline on the hard line, he positions himself against me, digs in his heels, and will not budge. When I have tried to extract respect and obedience from him by bending him to my will in an an authoritative manner, I always come up short of what I really want, which is ultimately his heart. The very greatest gift to me is when my children respond to me with an attentive, teachable heart, and authoritarianism is not the way to get there. For a long time, I saw his behavior as a personal attack on me. I mean, it’s hard not to when a kid tells you they want a new mom after you’ve given it your best, but over time, I have learned that it is not my son’s foremost intention to disrespect me (even though it looks that way). I have learned that although he is highly intelligent, he is not easily able identify or talk about his feelings—a personality trait he inherited from his father. It takes a gentle approach and thoughtful questions to draw out what is really going on inside him, and more often than not, he is looking for a measure of autonomy that allows him to flex and work his leadership muscles as they develop. Sometimes his outbursts are his way of asking for an opportunity to show me how capable he is. He does really well when I give him responsibilities and challenges that meet him at his level, as long as I take a few steps back and give him the room to tackle things his own way. Even though it hasn’t been easy to weather the rough patches, the truth is he has been a sharpening force in my life. We have needed each other. He has needed me to set and enforce consistent boundaries without being hyper-emotional. I have learned some powerful lessons about what it looks like to rise to a challenge. In the past when I’ve encountered difficult things, I have begged God to bring me relief, or to supernaturally make things easier on me because it was all just so hard. I wanted a way to escape the struggle and get to a smooth stretch of the road, but I now see that God doesn’t usually deliver me from trouble like that. Instead, He refines and grows my character, giving me opportunities to cultivate patience and perseverance, so I might become a capable, resourceful, lion-hearted mama with a gentle spirit toward my children. Since those trying preschool days, my son has become a responsible, focused, tenacious, and fairly teachable boy that is a true gift to me. We still have friction here and there, and he continues to test out his leadership muscles on me, but I love the kid with all my heart, and although I would love to have a brief reprieve from his strong-will from time to time, I have grown to respect and admire the strength and resolve in him.